At first, your braces and orthodontic treatment may take a little getting used to. It’s not uncommon to experience a bit of soreness when your braces are first put on, or some minor aches as teeth being to shift into new positions. Yet, you can have comfort in knowing that genuine orthodontic emergencies are rare. If you think you have an emergency, the first step is to determine the severity of the problem: Is your situation urgent that it require immediate attention, or a minor issue that you can take care of yourself, temporarily, until you can come in to the office. Severe, unmanageable discomfort or pain in these areas. If you experience these situations, you should seek help as soon as possible. Go to an emergency room, if that’s your best option. Generally, however, you will want to start with your regular Champaign or Mahomet dentist first. Remember that he or she is trained to handle a range of dental problems, and can offer the necessary diagnostic tools, anesthetics and treatment that you may need. Say for example, you fracture your tooth, your dentist will be able to treat the immediate problem and arrange for your tooth’s restoration; afterwards, your orthodontic treatment plan can be adjusted as needed. 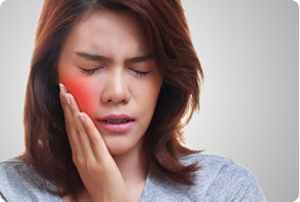 Additionally, severe pain or swelling could be a sign that you have an infection or disease, which a dentist or periodontist is best able to treat. This problem is often caused by you eating hard or sticky candy or food, or playing with the braces. If your band or bracket is still attached to the wire, leave it as is — but don’t connect any elastics to it! You can cover it with orthodontic wax if it’s irritating the inside of your mouth. If your band or bracket comes off, save it. In either case, call our office to let us know what happened, and we will be happy to schedule a visit. Please be sure to bring any loose parts with you to the appointment! As your teeth begin to move, the wire that connects them (archwire) may begin poking you near the back of your mouth or irritating your cheeks. You can try moving the wire into a better position with a pencil eraser or a Q-Tip. If the wire refuses to move, you may be able to cut the end off with a nail clipper sterilized in alcohol — but before doing so, please call our office for our guidance or instructions. Additionally, you can also use tweezers to gently move a misplaced wire or a tie that’s causing you problems. When wires or brackets cause you irritation, covering the metal parts with wax will often help ease your discomfort. As with any of these types of problems, please call our office and we’ll be happy schedule a time to see you. It’s normal for your teeth to become slightly loosened during orthodontic treatment — that shows they’re moving and that progress is being made! Sometimes, this movement may be accompanied by tenderness, especially after your braces are placed or adjusted. For minor soreness, you can use your regular over-the-counter pain reliever. A twice-a-day salt-water rinse may also help: Mix one teaspoon of salt in an 8-ounce glass of warm water, and rinse for 30 seconds. A warm washcloth or heating pad placed on the outside of the jaw can also offer some relief. While actual emergencies are rare, our goal is to make your orthodontic treatment as comfortable as possible. If you need additional information, don’t hesitate to call us!